Time is Money, and I can save you Both! 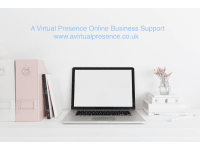 I offer online admin support and on-site minute-taking to small businesses. Including proofreading, social media, diary management, transcription, Document editing and more. My name is Lisa, I am a professional, dedicated PA with over 30 years’ experience in areas as diverse as the London fashion industry and the independent school sector. After nearly 20 years as PA to the Head of an independent school in London, I decided to change my focus and begin working for myself, offering my extensive knowledge and administration services to a wide range of small businesses. Having worked in the independent school sector, I understand the need for complete confidentiality and the ability to be sensitive to the needs of clients. Nothing is as precious to someone as their children! From my years spent working in the London fashion industry, I have gained the ability to work at speed, adhere to deadlines and be forward looking and thinking. Dealing with orders for bikinis in November and winter coats in June has prepared me to deal with many diverse requirements. I am also security vetted to BS7858 so you can ensure that all your details will be safely and professionally dealt with.